The recent death of one of the remaining six Irrawaddy river dolphins in the Mekong River in Laos highlights the desperate situation for the already critically endangered animal. Villagers in Cambodia discovered the female dolphin carcass on April 1, according to news reports in Phnom Penh. She was thought to have been one of the oldest and largest dolphins in the region - a trans-boundary river pool, called the Wang Paa Khaa, which straddles Laos and Cambodia; there are an estimated 85 dolphins remaining in all of the Mekong River, says WWF, of which Cambodia is home to the vast majority. The dolphin is presumed to have died of natural causes based on examination of her body, but her death is a grim confirmation that humans have failed to protect her species. "This is a very sad time for this dwindling population of dolphins," said Thomas Gray, manager of WWF's Greater Mekong Species Programme, in a WWF statement. 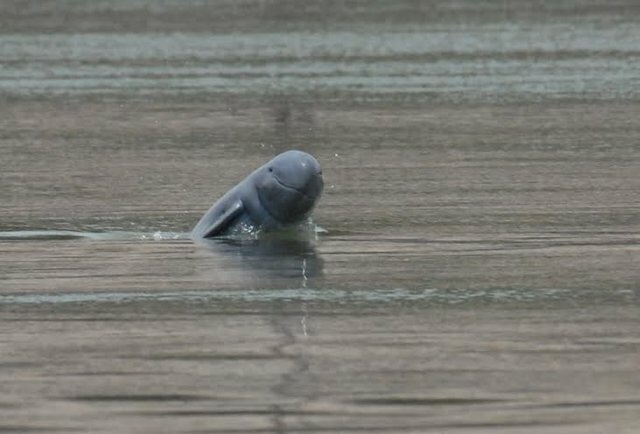 "There are now just five dolphins left in Laos and it is another warning that the species is facing the grave risk of extinction from the country, and also throughout the Mekong River." 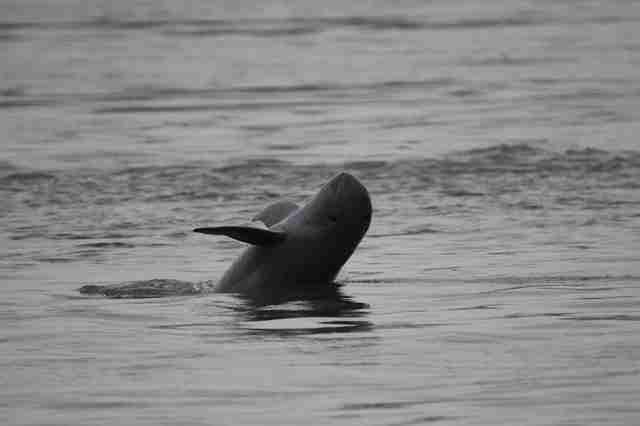 The Irrawaddy dolphin - also called "the smiling face of the Mekong" - has mainly been wiped out by the fishing industry. The fight for the dolphin's survival has always been intense. "Historically, as many as 40-50 dolphins are believed to have used the trans-boundary pool, with numbers falling to around 25 in the mid-1990s," WWF says in its statement. Gillnets - vertical nets left in the water for extended periods of time by local fishermen - have been the dolphins' most recent and acute threat; the nets entangle the dolphins and kill them slowly. In 2012, Laos reportedly created a 110-mile dolphin protection zone, which banned the use of gillnets, but the ban hasn't been consistently enforced. And for the few remaining dolphins, what might surely seal their fate is the construction of a massive new dam in the area, cites WWF. The proposed Don Sahong hydroelectric dam is just upstream from the river pool and the explosive that are used to excavate the rocks "has the potential to kill or seriously harm the sensitive hearing of the nearby dolphins," says WWF. In a tragic irony, each year the dolphins reportedly bring in some 30,000 tourists - flocking down the river to catch a glimpse of this soon-to-be-extinct animal. 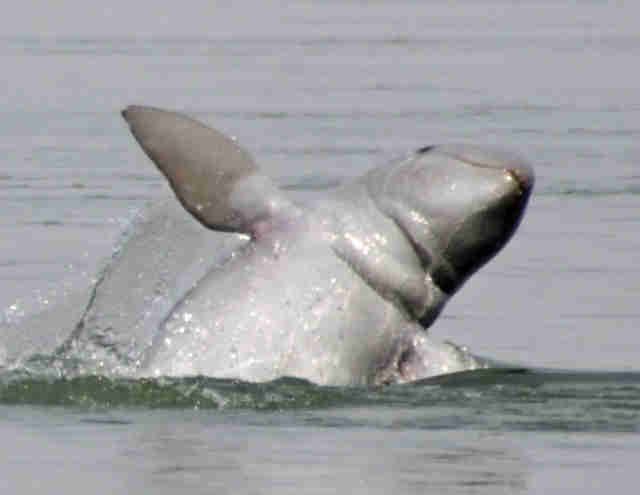 Clarification: There are only 5 Mekong River dolphins in the Laos population, not left in the species, as some readers understood from the original headline. The headline has been updated.